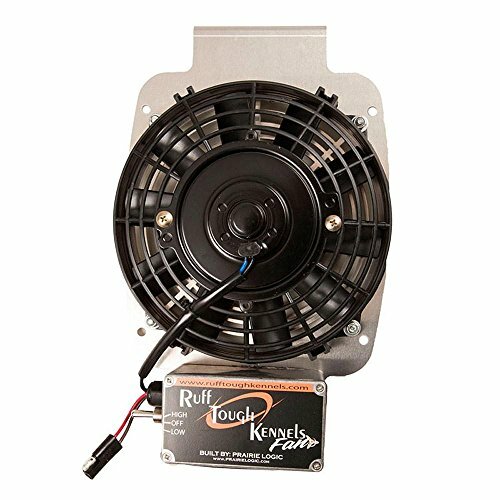 This heavy duty Ruff Tough Dog Crate fan gives you two fan speeds at the flip of a switch for maximum cooling for your dog, or for minimal power draw to conserve your battery. The LOW setting will minimize your power draw -- LESS than 2 AMPS! You can leave your fan on even when your vehicle is shut off. We routinely leave our fans on throughout the entire day without any concern for our vehicle battery, while having the confidence that our dogs will remain safe and cool. If you have any questions about this product by RUFF TOUGH KENNELS, contact us by completing and submitting the form below. If you are looking for a specif part number, please include it with your message.